EVERUN gives runners a cushioning which is more flexible, and more durable, for a livelier feeling from first step to last. You'll find an EVERUN-equipped shoe for any purpose, whether you're running fast, running easy, or just running your world. 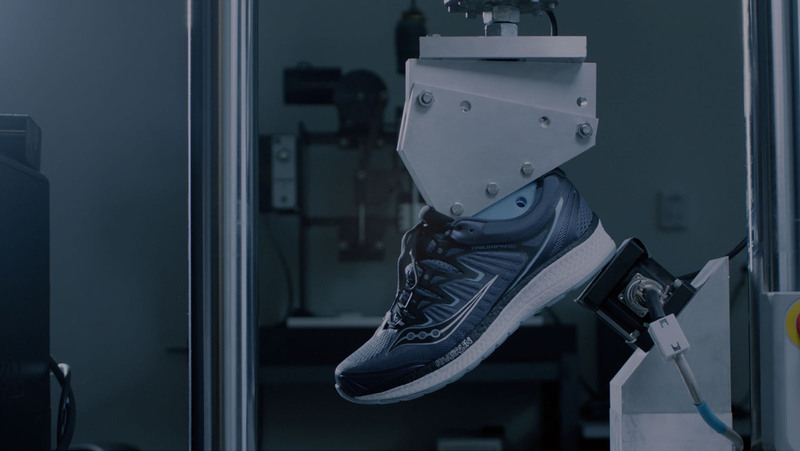 EVERUN is created by stream-fusing thousands of bouncy TPU beads, but what really sets it apart is our process: we dynamically change the polymer, the moulding — even the shoe assembly — to create unique products for all types of runners. Most cushioning noticeably changes over time, EVERUN doesn’t. It’s 3X more durable and 3X less temperature-sensitive than EVA, for a consistent response from the start of your run through the life of your shoe. With 83% energy return and a position closer to your foot, EVERUN gives you a livelier sensation in every step. Twice as flexible as standard cushioning, EVERUN moves with your foot for a remarkably smooth landing, stable transition, and powerful takeoff. Our performance line has an additional EVERUN layer directly under the sockliner, for a difference you can instantly feel. This Topsole Construction distributes pressure more evenly, giving you unparalleled comfort and improved responsiveness. We currently offer EVERUN in two different constructions. In our most highly cushioned models, a full midsole of EVERUN sits between your foot and the ground, for the ultimate in soft landings and springy takeoffs. If you’re looking for a slightly firmer ride, but still want the responsiveness of EVERUN, we’ve added a 3mm Topsole layer to some of our most popular models.